Use Your VA Home Loan Benefits to Refinance! One of the most tried and true ways to save money as a veteran homeowner is through a VA refinance. Refinancing is the process of changing or adjusting your mortgage in order to get a lower interest rate or a different payment plan. According to Fannie May and Freddie Mac, American homeowners, on average, stay in their mortgage plan for just 3 to 5 years. 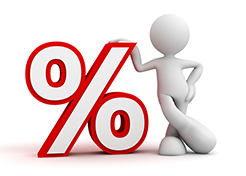 This means Americans are refinancing approximately 6 to 10 times during the life of their loan. This doesn’t necessarily mean they’re selling their homes; they’re simply changing the way they pay for them. Why Refinance Your VA Home Loan? Refinancing leads to lower interest rates, a shorter loan life, some extra money for home improvements, and new terms that are better suited to your unique situation as a homeowner. In short, it’s for you: if you feel like your current mortgage plan isn’t working out, refinancing can help you move things around and make the process of owning a home more realistic and more manageable. The VA home loan refinance process is faster and more efficient than conventional refinancing. The VA generally offers a wider variety of refinancing options, fewer restrictive factors, and greater flexibility. Best of all, many refinance loans come with a VA guarantee, a guarantee that the refinancing will ultimately save you money and be beneficial. In other words, with every refinance, our lenders follow various VA requirements that ensure the new loan changes your mortgage plan for the better. Since there are many different options available when it comes to refinancing, you’ll want to figure out which is the best for you. Even if you qualify for many, there is probably one better suited to your needs than another. Different lenders may also suggest different loans, so make sure your lender knows your individual situation well enough to make the best suggestions. 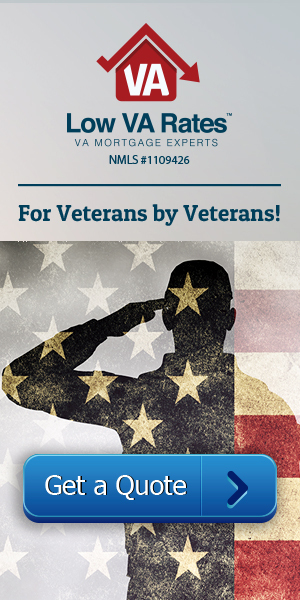 Anyone who qualifies for a VA loan is eligible to refinance. At Low VA Rates, we don’t have any seasoning requirements, meaning you can refinance as early as day one in your loan. Being current on your mortgage at the time of refinancing is optimal since delinquency could disqualify you for refinancing depending on which VA lender you do business with. In addition to having no seasoning requirements, Low VA Rates also has no minimum credit score requirements for refinancing. So what is the VA IRRRL program? The IRRRL program is short for Interest Rate Reduction Refinance Loan (IRRRL). This loan is also known as the VA Streamline Refinance. The VA streamline refinance or IRRRL for short allows those who qualify to refinance their mortgage in order to lower their interest rate and save a lot of money. The VA streamline is very popular among veterans. The loan is structured to produce tangible benefits for borrowers instead of just making the loan originator rich. Once you’re approved, streamlining is easy. You’re not required to obtain a Certificate of Eligibility from the VA (because you would have already received this when taking out a purchase VA loan), nor are you required to make a down payment. Depending on your lender, appraising and credit underwriting won’t be required either. Because the IRRRL doesn’t require much paperwork or signatures, the processing time is faster than your average refinance. And with the IRRRL, borrowers can change their rates from adjustable to fixed, or vice versa. If you’re looking for a different rate or term for your VA loan, the IRRRL may just be exactly what you’re looking for. At Low VA Rates, we love the VA streamline refinance rates. Streamlining is fast, coming together in sometimes as little as ten days, and it’s simple, too. It’s guaranteed to make a difference. The IRRRL isn’t bogged down by requirements or paperwork. There’s no appraisal or home value test required, nor does the VA require a specific loan-to-value ratio. Additionally, the IRRRL requires no income or employment verification. Less paperwork means less stress for everyone involved. Refinancing in general also puts a temporary pause on your mortgage payments. This isn’t an intended VA IRRRL benefit, and it’s certainly not a reason in and of itself to refinance, but it’s worth mentioning. However, if you want to refinance without the deferment of payments, our lenders here at Low VA Rates can help you build a payment plan with which you’re comfortable. Most of all, we at Low VA Rates love the IRRRL because it works. VA IRRRL rates are some of the lowest home loan rates in the country. Unless you’re going from an adjustable-rate mortgage to a fixed and your payment term is changing, generally speaking, your payment and interest rates are going to decrease when you refinance through the VA IRRRL program. It’s our speciality. We’ve done it thousands of times and know the process inside and out. We’re confident that it will positively affect your journey towards home ownership. Cash-out refinancing is another VA home refinance option that allows you to have some extra cash on hand for schooling, bills, and other major expenses. It works differently from the IRRRL in a number of ways. First, unlike the streamline, if you have a second mortgage, cash-out refinancing will allow you to combine both mortgages. In most cases, your cash-out loan will match 90 to 100 percent of the value of your home. Additionally, the VA IRRRL funding fee is 0.5 percent while the funding fee for cash-out refinance is a little higher, around 3 percent. And while maybe lenders will approve you for the IRRRL if you are 30 days delinquent or less on your mortgage, in order to qualify for the cash-out refinance, you’ll have to be completely up to date on your payments. Cash-out loans also require that the property associated with the loan be occupied at the time of refinancing, unlike the IRRRL. Cash-out refinancing is very similar to the VA home improvement loan. Both loans put extra cash in your pocket, money that can be used for anything: vacations, paying off debts, remodeling—you name it. The cash-out refinance will get you that extra cash much faster than the home improvement loan in addition to lowering your rates. And did we mention that extra cash is tax deductible? As with every loan, there are some downsides. Cash-out refinancing takes about ninety days and requires you to pay closing costs. If you’re trying to decide between refinancing via the streamline or the cash-out, consider what exactly you’ll be using the loan to do, if you’re willing to pay the extra costs, and how quickly you need the extra money. VA refinance rates today are very competitive compared to conventional refinance rates and carry much more flexible qualification requirements. If you’re a veteran and your credit score is lower than average, you could still qualify for a VA loan refinance: as mentioned before, Low VA Rates requires no minimum credit score whatsoever. The VA’s entire goal is to make life easier and home ownership affordable for our nation’s faithful veterans. If you’re wondering whether or not you should take the VA route, give us a call and lets us help make that decision easier for you. We’ll show you what each loan type has to gain, and together, we can determine the best course of action for you and your family. The VA home improvement loan exists to help you remodel, rebuild, and refurbish your home. The loan lends you cash in addition to your mortgage that you can then put towards improvements specifically. Improvements such as adding on an extra bathroom, remodeling your kitchen, or expanding your back deck are all covered by this loan. As with any loan, certain requirements are in place for approval, particularly when it comes to ascertaining whether or not you can afford the additional monthly expenses. Another VA refinance option is the Energy Efficient Mortgage. This loan allows you to take out more money (up to 6,000 dollars) so you can then save money in the long term. How does this work? Well, first of all, the Energy Efficient Mortgage requires you to prove that the extra money lent out will be put towards increasing your home’s energy efficiency. Examples of these kinds of changes include fitting your home with double-pane windows or installing solar panels. The loan also requires proof that these upgrades will save you money each month. For instance, by locking in the hot and cool air more effectively, double-paned windows will ideally save you money that would otherwise go towards heating and air conditioning throughout the year. So to determine if the Energy Efficient Mortgage is a worthy investment, carefully consider your electricity and utility bills. Have your heating and cooling equipment inspected by experts to determine their current quality and efficiency. And if your furnace or insulation are a few decades or more old, your house may benefit from some upgrades via the Energy Efficient Mortgage. So consult a trusted professional and take some time to really examine the numbers. The Energy Efficient Mortgage may be just the sort of improving your home needs.